May 19, 2011 (Part I, Part II, Part III) – Part III is audio only. May 10, 2011 (Part I, Part II) – Part II is audio only. April 14, 2011 (Part I, Part II) – Part II is audio only. April 12, 2011 (Part I, Part II) – Part II is audio only. March 31, 2011 (Part I, Part II) – Part II is audio only. Interim Charge #8: "Monitor the implementation of legislation addressed by the Senate Committee on Education, 82nd Legislature, Regular and Called Sessions, and make recommendations for any legislation needed to improve, enhance, and/or complete implementation. Specifically, monitor the following: SB 6, relating to the establishment of the instructional materials allotment; SB 8, relating to the flexibility of the board of trustees of a school district in the management and operation of public schools; HB 1942, relating to bullying in public schools; The implementation of legislation related to the state's accountability system and other reforms enacted by HB 3, 81st Legislature, Regular Session, and SB 1031, 80th Legislature, Regular Session." Interim Charge #7: "Conduct a comprehensive review of school discipline practices. Specifically, review and make recommendations on: The effectiveness of Disciplinary Alternative Education Programs (DAEP) and Juvenile Justice Alternative Education Programs (JJAEP) in reducing student involvement in further disciplinary infractions and in promoting positive educational achievement; Disproportionate school discipline referrals, including suspension, expulsion, and Class C misdemeanor citations; The issue of "Zero Tolerance" in secondary education school discipline, the use of alternative education campuses, and the barriers to graduation. Also include the role that specialized school police departments play in these systems. Consider the impact on the juvenile justice system and the adult prison system; The number of students in the conservatorship of the Department of Family and Protective Services (DFPS) referred to juvenile or municipal courts, suspended, expelled, and placed in Disciplinary Alternative Education Programs (DAEP). Examine data-sharing practices between DFPS, TEA, and local education agencies, and make recommendations to increase communication between schools and DFPS to increase educational outcomes for children in foster care; Evidence based models used for addressing juvenile delinquency prevention that is targeted to non-adjudicated, but at-risk youth, in the school disciplinary system. 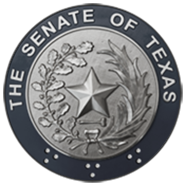 (Joint Charge with Senate Committee on Criminal Justice)"
Interim Charge #3: "Study the growing demand for virtual schools in Texas. Review the benefits of virtual schools, related successes in other states, and needed changes to remove barriers to virtual schools." Interim Charge #4: "Study the impact of extended learning time on school success. Evaluate the different programs offered, best practices, school implementation, and incentives for building community partnerships that allow a variety of academic and career-related learning opportunities. Examine the effect of after-school programs on academic performance, school attendance, behavior, and promotion to the next grade level, and the relationship between the availability of after-school programs in an area and the high school dropout rate." Interim Charge #6: "Study the impact of school choice programs in other states on students, parents, and teachers. Explore the use of education tax credits and taxpayer savings grants, and examine potential impacts on state funding." Interim Charge #5: "Study the performance and accountability of charter schools, best practices of high-performing charter schools, and barriers to replication. Review policies and practices for authorizing high-quality charters and closing poor-performing charters. Study the benefits of and costs related to increasing the number of charters, as well as establishing additional authorization boards to grant new charters." Study public school management practices, including the use and options for shared services for both academics and operations. Examine the role of Regional Education Service Centers. Specifically, review the types of services being provided and their ability to assist school districts with improving efficiencies. Study educator and principal preparation programs through colleges of education and alternative certification. Make recommendations to improve these programs. Examine strategies to improve recruitment of high-quality teachers. Examine alternative approaches to improving teacher retention. Study the benefits of comprehensive induction and mentoring programs. Study the growing demand for virtual schools in Texas. Review the benefits of virtual schools, related successes in other states, and needed changes to remove barriers to virtual schools. Study the impact of extended learning time on school success. Evaluate the different programs offered, best practices, school implementation, and incentives for building community partnerships that allow a variety of academic and career-related learning opportunities. Examine the effect of after-school programs on academic performance, school attendance, behavior, and promotion to the next grade level, and the relationship between the availability of after-school programs in an area and the high school dropout rate. Study the performance and accountability of charter schools, best practices of high-performing charter schools, and barriers to replication. Review policies and practices for authorizing high-quality charters and closing poor-performing charters. Study the benefits of and costs related to increasing the number of charters, as well as establishing additional authorization boards to grant new charters. Study the impact of school choice programs in other states on students, parents, and teachers. Explore the use of education tax credits and taxpayer savings grants, and examine potential impacts on state funding. The implementation of legislation related to the state's accountability system and other reforms enacted by HB 3, 81st Legislature, Regular Session, and SB 1031, 80th Legislature, Regular Session.